After Christmas passes, it’s easy to rest on your laurels as a marketer as the holiday buying frenzy dies down. New Year’s Eve, however, can be an excellent opportunity for a brand to run promotions that engage and inspire their fans. Tackling New Year’s Even promotions can be tricky because your window for running any kind of promo is very limited. Here are some ideas for New Year’s Eve promotions for 2015. In the past, we’ve recommended sharing New Year’s Resolutions. Prompt your fans for their resolutions for 2015. Whoever shares the most compelling, well thought out resolution wins a small prize like a gift card, or one of your brand’s products or services. For a variation, ask your fans how they plan to achieve their resolutions and reward whoever comes up with the best plan of action. Earlier this year, Instagram launched a new video service called Hyperlapse. Other social networks were quick to follow suit with similar services. Ask your fans to create hyperlapse videos of their New Year’s Eve, tracking a party from guests’ arrival to the ball dropping. Share the best video on social media, and reward your top 3 fans with gift cards or product. As we turn the page on 2014, ask your fans to share some of their best memories from the year. Did your fans get married? Did they get new jobs? Take a cool vacation? Try to ask for highlights in a way that ties directly into your brand. If you’re a travel agency, ask for travel specific highlights, for example. 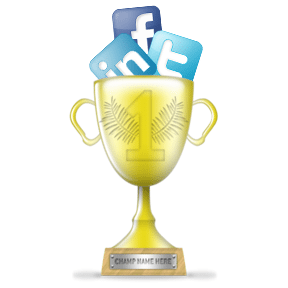 Challenge your fans to be the first person to post something on your Facebook page, or your Twitter feed in 2015. Whoever gets there “first” or “#first” gets a small prize. Regardless of how you decide to celebrate, have a fun and safe New Year’s Eve.